There is no shortage of loaded – and often gendered – symbolism in the sport of cockfighting. And this becomes a starting point for author Kier-La Janisse (HOUSE OF PSYCHOTIC WOMEN) to investigate the themes of obsession, competition, divination and self-ascribed nobility that dominate the hyper-masculine world of Monte Hellman’s existential and controversial film, COCKFIGHTER (1974). In this, its fifth book, Canadian micro-publisher Spectacular Optical explores the intersection of Southern Gothic, ritual masculinity and second wave feminism in COCKFIGHTER with a combination of cultural criticism and production history. 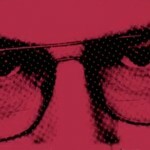 The book will also examine in detail the Charles Willeford pulp novel and the bloodsport that inspired it. While Willeford always maintained that it was a tale of obsession and not ‘about’ cockfighting, this unique sport nonetheless provides all the contradictions necessary for a great lone wolf story. 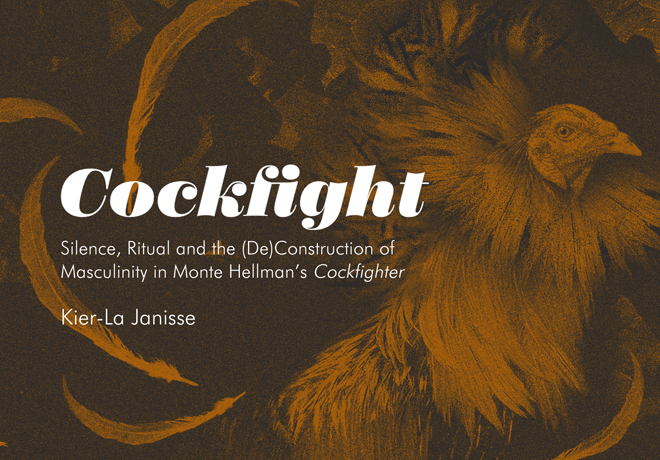 And here, author Kier-La Janisse faces up to her own contradictions as she personally delves into the strange world of cockfighting in the American south. COCKFIGHTER stars character actor Warren Oates as Frank Mansfield, a career cocker who has taken a vow of silence until he can win the Cockfighter of the Year Award. Surrounded by fellow cockfighters played by Harry Dean Stanton, Ed Begley, Jr, Steve Railsback, Richard B. Shull and even author/screenwriter Charles Willeford himself, the film traverses the underground cockfighting world of the Deep South, with a highly detailed documentation of this unique subculture brought vividly to life by esteemed cinematographer Nestor Almendros. The book features interviews with director Monte Hellman and producer Roger Corman – who will sign special edition copies of the book available only through the IndieGogo campaign – as well as several other surviving cast and crew. Special perks for the IndieGogo include belt buckles, tote bags, a Cockfighter-themed flask and deck of cards, an original cockfighting gaff necklace designed by silversmith Ben High, a two-night stay at Monte Hellman’s AirBnB and a deluxe edition signed by Roger Corman, Monte Hellman and Kier-La Janisse that comes with the Cockfighter of the Year medal as depicted in the film (rendered by illustrator Andrew Barr and created by Pallbearer Press). In addition we have blu rays from our colleagues at Severin Films and The American Genre Film Archive!